As a lover of Riesling wines, I am always on the lookout for new initiatves promoting my favourite white wine grape. The other day I came across the facebook page of It’s Riesling. I assume they are working from Thailand but I am not entirely sure about this. However, many of the pictures they posted on facebook show scenes and people from Bangkok. Also the telephone number seems to be a local one. 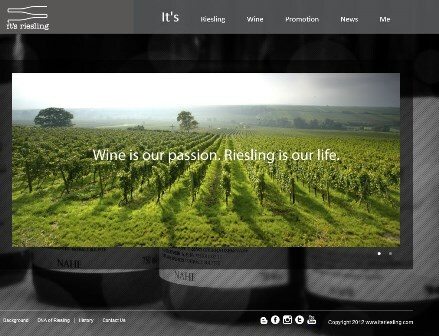 The motto of It’s Riesling is: “Wine is our passion; Riesling is our life”. I sincerely hope that this is true. Then I will have access to top German Riesling wines which would be fantastic. They have some interesting wines on offer. I will keep you informed about my progress. 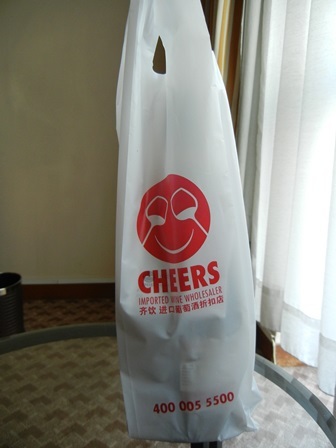 The other day, when I took a stroll from the Friendship Hotel in Beijing where I stayed during my recent visit, I came also across the Cheers wine shop at Renmin University (People’s University). I knew this shop from earlier visits, and was curious to know what it had on offer. I was surprised to find even a few wines from Germany: Two off-dry Riesling wines from my native Mosel and a Pinot Noir from the Pfalz. 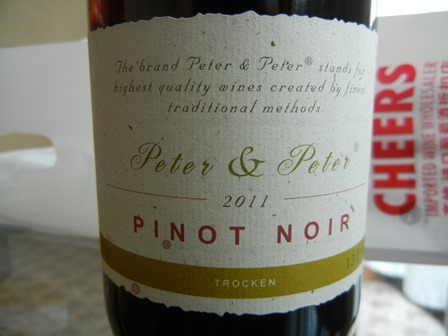 I had never before heard about the “Peter & Peter” brand but could not resist to buy and later try this wine. I did not regret it. After my return from a business dinner with lovely Chinese food but without table wine, I opened the Pinot Noir and enjoyed it as a night cap. Zimmermann-Graeff & Müller is a wine company in Zell, Mosel with about 300 employees and vineyards and wineries in the Mosel and Pfalz wine regions. Jancis Robinson awarded this wine a 15 out of 20 points. The sales price varies. I found websites where you could order it for 8 to 10 EURO/bottle; in Canada it is available for about 19-20 C$. Before taxes one can have it in Thailand for 356 Bath. But remember that the luxury tax in Thailand is considerable (400%). For me it was great to enjoy this fine specimen of German wine so far away from my native land. 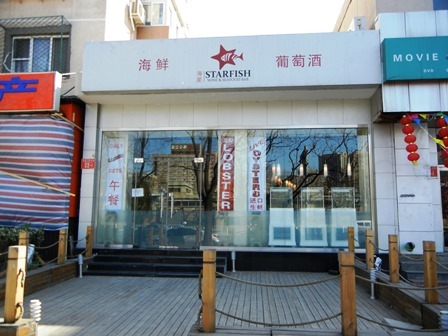 While in Beijing the other day, I was invited for a meal at Starfish Restaurant opposite the Canadian Embassy. I had been there before but my last visit was some time ago. 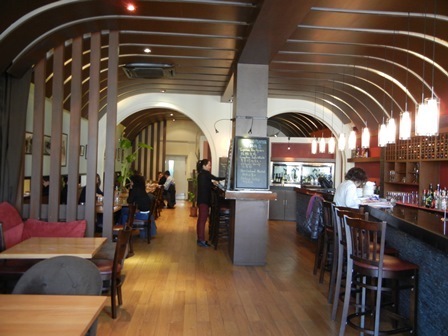 It is a very pleasant place with good service and good food. I ordered one variation of the menu of the day. This usually comes with a glass of wine. 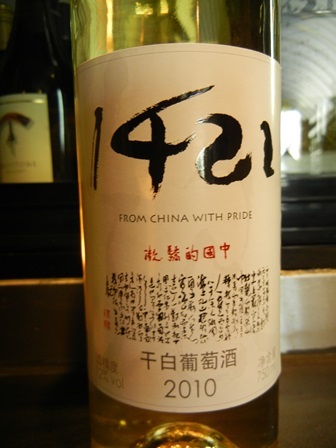 When I later asked the waitress what wine it was, I was surprised to learn that she had served me a Chinese ‘2010 Silver Chardonnay’ from 1421 Wines. 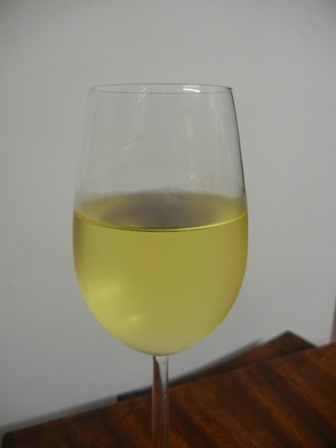 This Chardonnay is a very decent wine and I was pleasantly surprised (see tasting notes). I also love it when food is served with locally grown wine and not some foreign stuff. In Thailand for instance is it very difficult to have a local wine accompanying the meal. 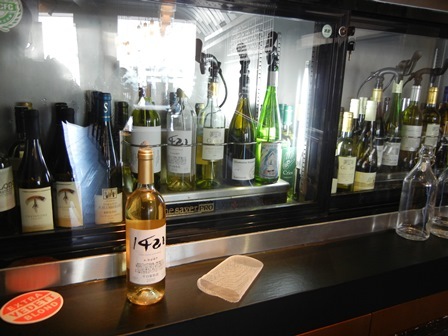 In most places only international wines are on offer. There are some exception from this rule, some of which you can find on my blog. It is the Thai New Year, called Songkran, the water festival. In down town Bangkok the mob is celebrating, dancing, and splashing people with water, a cleansing ritual and a good omen. 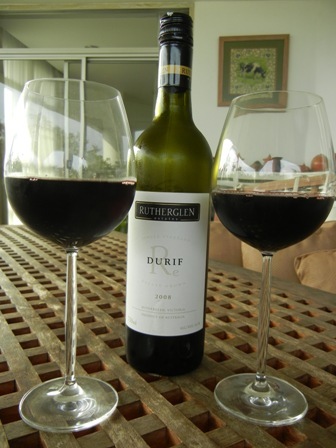 Instead of mingling with the crowd, we are enjoying some beautiful red wine on our terrace. 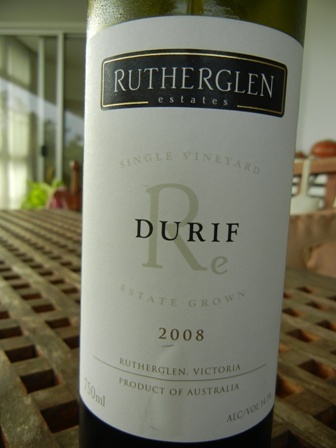 From Wine Connection in Thonglor I got a bottle of ‘2008 Durif Single Vineyard’ by Rutherglen Estates, one of the largest wine and grape producers in the region (more than 300 ha under vines). The wine is big with 14.5% alcohol. It has not much of a nose. The first sip comes as a bit of a shock, sucking your mouth dry like a vacuum cleaner. The second mouth full is already better, and then you are sailing. Some red fruit, some vanilla from the oak. Pleasant and satisfying, a warm climate red whispering in your ear the hot air of the northern Victorian sun. 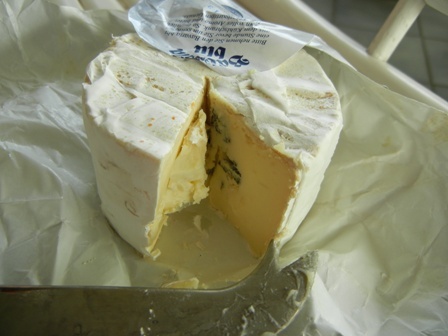 We had some Bavaria Blue cheese from Bergader Creamery with it. This is my favourite Bavarian cheese, and not only because I worked as a young man on a dairy farm in Petting which delivered its milk to that company. Every time I am in Germany I bring some of this cheese with me. It is super delicious. And the red wine from Rutherglen was just the right complement, a perfect match so to say to the strong and hearty cheese. More such glorious days can come, with wine and some good food. Happy Thai New Year to all of you. This is the third and last of my Gran Monte Harvest Festival blog entries. I know that the festival was in February and now it is already April. However, visiting Gran Monte Vineyard is always a good choice regardless of the time of year. During the harvest festival I was very lucky to stay at the Gran Monte Guest House which is just in the middle of the Gran Monte vineyards with great views. It is wonderful to wake up in the morning, hear the birds sing and step out of the room, a room with a view so to speak and be right in the middle of things. 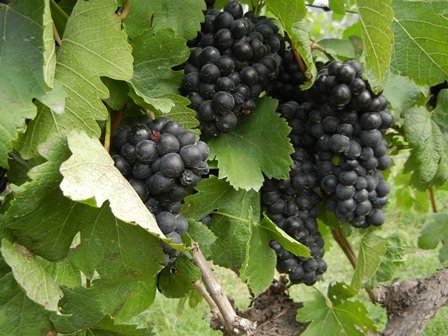 The wine education at Gran Monte also includes some harvesting of grapes, just a little for the feeling of it. 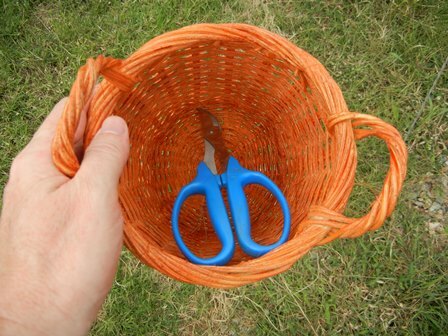 Of course I also participated, took the secateurs and cut a couple of bunches, just for fun. In my first blog entry I mentioned that I shared the bus with a couple from Hongkong. 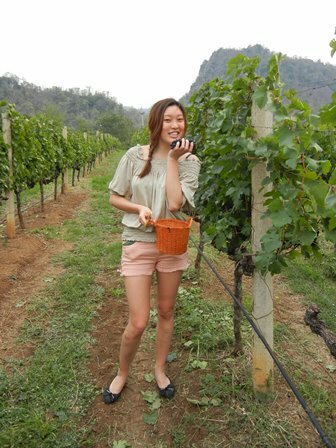 It turned out that Anty Fung was a very knowledgeable wine writer and wine promoter working at Asian Palates. 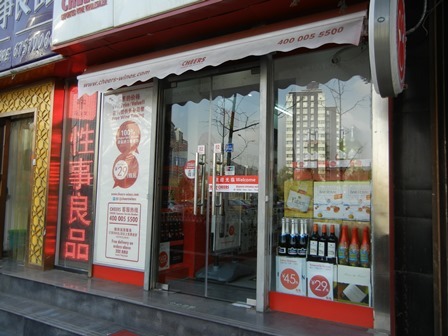 To educate Asian wine drinkers to grape wine is not an easy undertaking. Often the description of what you are going to experience when you drink a specific wine is completely intangible to non Europeans. The references are out of sync with Asian life experience so to say. This means tasting notes have to be re-written so that Asian consumers can connect to the product. Anty is working in this exciting sector and it was a great pleasure to listen to her and her assessments. Moreover, she was great fun. Finally let me tell you that the breakfast at Gran Monte Family Estate is just another marvel. Look at the picture above. 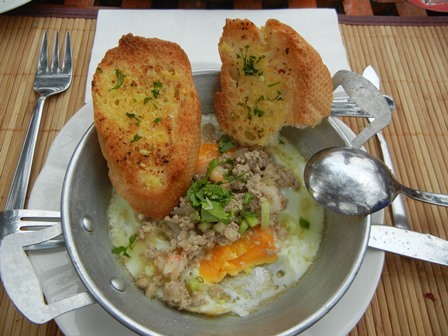 Would you not love to have this kind of egg dish in the morning? You can have it. Just go and check it out at Gran Monte guest house. 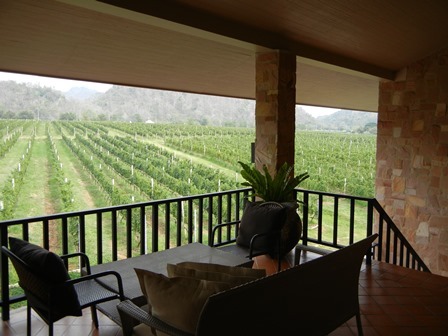 Stay there for a weekend and experience the uniqueness of a Thai vineyard and winery with great food and fine wines. 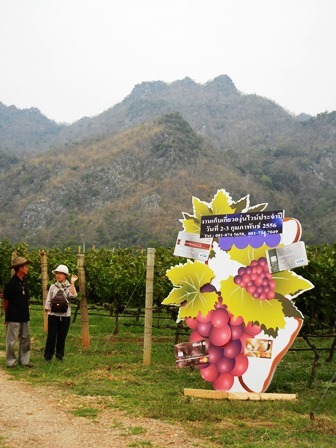 You are also going to meet a Thai family which is very passionate about wine, viticulture and the environment of the Asoke Valley. I enjoy reading the Wall Street Journal, especially the weekend issues with the addition on food, culture, arts and wine. The 5-7 April edition contained an essay written by Lettie Teague titled: “Five wine blogs I really click with”. This one was again about the wine blogger and his or her influence on the wine industry in general. Lettie claims to have scrolled through 10,000 pages of wine blogs. I wonder if she has come about The Man from Mosel River, but I guess not. Lettie claims that wine drinkers hardly read wine blogs. Well, maybe so. Of the five blogs she recommends as the best bloggers beyond tasting notes, I knew only one (Brooklynguy). Shame on me. I learned from the essay that there are about 1,450 odd wine blogs out there (I guess she includes only the ones written in English), of which about 1,000 are amateurs, non-professionals, people who do it for the glory, for personal satisfaction. Well, people in the wine industry have called wine bloggers a “powerful force, capable of challenging or even eclipsing traditional media and conventional wine critics”. That might be an exaggeration. According to Allen Wright, who has organized various wine bloggers conferences in North America, only about 18% of all wine bloggers today have been blogging for more than six years. Hurrah, I call out, I must be one of them since I have started my The Man from Mosel River blog in January 2007. I do not recall all these years but I can also confirm that it is getting harder and harder to keep going. Regular visitor know about my predicament. Lettie also identifies the one and most important constraint: time. There are so many things out there one could do, and blogging takes time and effort, drains energy, and one needs a lot of passion to just stumble along. I visited all of the blogs above and must say they are a bloody good choice. To all of us I say, keep on blogging. Some people seem to read our ruminations. Thanks Lettie for letting us know. Easter was looming and I had not had any real champagne for a long long time, therefore I decided to get a bottle of bubbly from France. I went to the Wine Connection shop in Thonglor and came out with a bottle of Carte Blanche – Bauget-Jouette from Épernay, Champagne in France. This is a very fine specimen of bubbly wine from Champagne, France. 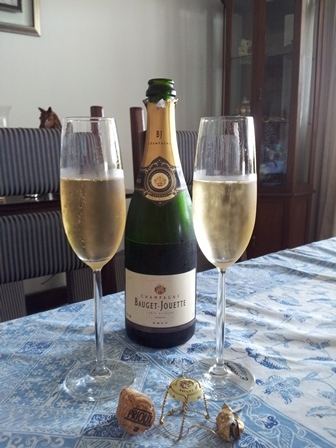 I loved the small bubbles (12% alcohol), and the intensive yellow fruit aromas. Apricots and apples come to mind. The 60% Chardonnay grapes in the blend are tangible (30% are Pinot Meunier and 10% Pinot Noir). Maison Bauget-Jouette is one of the oldest ‘champagne houses’ in France (1822). 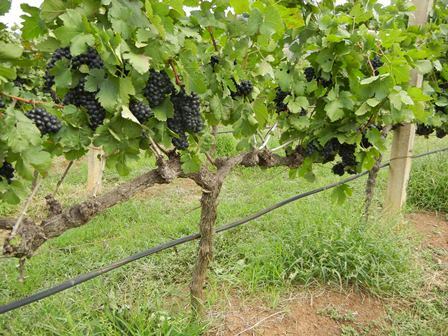 The family owned and operated business produces about 150,000 bottles per year on 15 ha of vineyards. This makes it one of the smaller and lesser known champagne producers. The good news is that its products are available here in Asia. 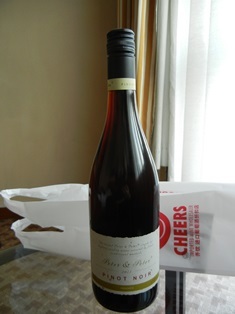 Wine Connection in Bangkok sells it for about 2,000 Bath per bottle. According to the German champagne platform www.champagner-portal.de (which carries about 61 champagne producers, big and small), Bauet-Jouette in Épernay is worth visiting. The winery has a historic cellar from the 17th century which is located 27 meter below the surface. Today the fifth generation of the Bauget family, Stephan and Nicolas, is operating the estate. My verdict: I will buy this champagne again. Next opportunity is the graduation of my twin daughters from Patana International School in Bangkok in May. I will wait outside the school with a bottle of Carte Blanche in a wine cooler and the necessary accessories and we will celebrate their new won freedom. You are currently browsing the The Man from Mosel River blog archives for April, 2013.